Faux Mother of Pearl Technique Card! Hi all! I finally got around to completing my card for a challenge put out by Sharon Fields (Created by You). She does Saturday tutorials weekly (I wish I could even blog weekly! 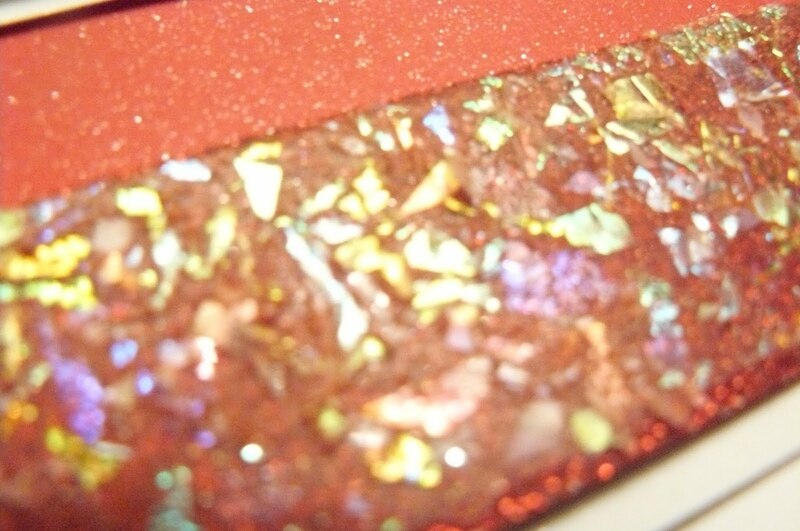 ), and challenged her readers to also try the Mica Flake Faux Mother of Pearl technique. Of course, I LOVED her project! She did both a card and some jewelry (which some lucky reader -- hopefully moi! -- will win!). In Sharon's samples, she used the silver glitter paper -- since mine was in transit but I had the red glitter paper in my stash, I chose to do my technique using the red paper. 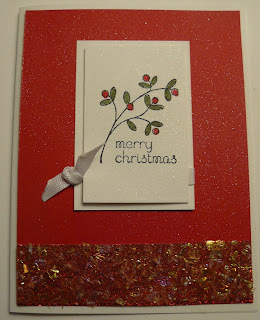 I used the Easy Events stamp set and made this a quick and cute, easy to share, Christmas card. It's missing something -- maybe gold brads? I did spray it (the completed card) with some of my homemade shimmer spray though so it's ultra-sparkly! So, just like Sharon taught in her tutorial, I cut my sticky sheet to the same size as a scrap of Red Glitter paper. I peeled off the protective layer, stuck the sticky to the glitter paper, burnished the back of the sticky sheet and peeled off the second layer -- then I carefully poured some of the Mica Flakes onto the sticky sheet and consequently, all over me! -- they're extremely staticky! I sanded off the excess Mica Flakes, again getting the flakes all over me, and then sponged on some Real Red classic ink, removing the excess ink with a paper towel. I didn't see the need to seal the paper, although a spray sealant could work. Ink: Black Staz-On, Real Red classic ink to sponge on the faux Mother of Pearl strip, markers. Embellishments: White Narrow Grosgrain Ribbon, my "homemade" shimmer spray (I mixed shimmer paint with alcohol, following a formula I found online), mica flakes. That's all for today! Tomorrow I hope to share some pictures of the Stamp Out Breast Cancer Event! 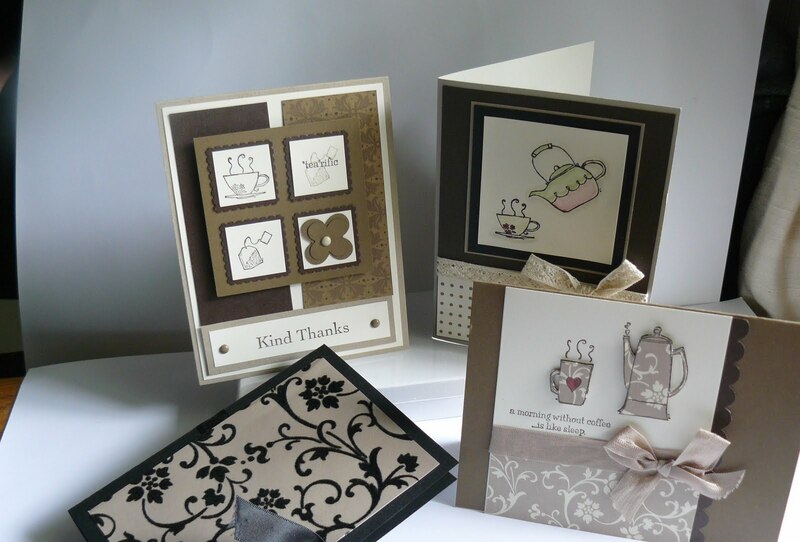 This is this week's card class: 3 cards and a 3D card-sized tea envelope. Personally I love these cards. Most of them were a re-take of cards in the present Idea Book and Catalog. 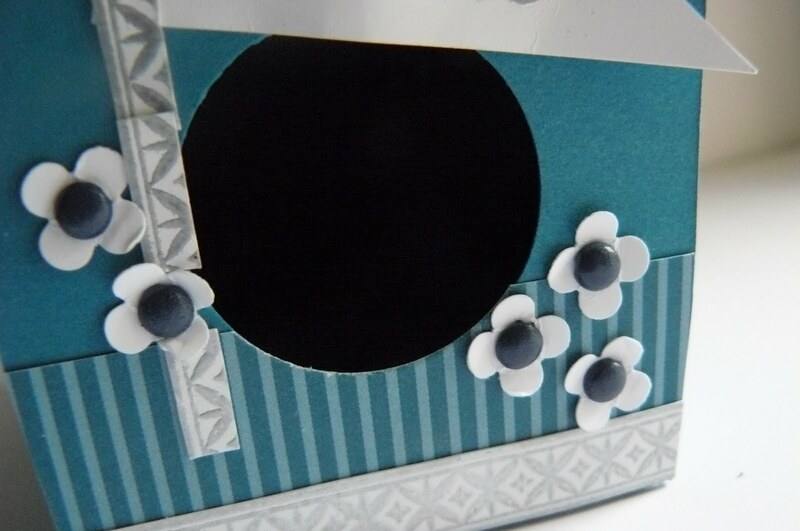 I love showing different ways of viewing cards in the catalog -- it doesn't just show the stamp sets, but the limitless ways to use these stamp sets for cards, 3D items, scrapbook pages, etc! I guess I don't have an inside shot of the tea envelope, but it has 2 scallop envelopes on the right side, cut with the Scallop Envelope die. I sized one of the envelopes to hold a gift card from Starbuck's or D.D's. The top can hold a tea bag! I love the flocked specialty paper! If anyone lives in the north Boston/southern NH area, please feel free to RSVP for Tuesday night's class! I'm doing a 2nd class on Wednesday morning if anyone needs a daytime class! It's another side-step card, and I've fallen in love with this kind of card! So simple now that I know how to do it! I used the Curly Cute stamp set with the Field Flowers, and the background stamp is "one of the french ones!" (Shh, it might be retired!). The paper on the side, which you can barely see in my lighting, is one of the Soft Suede patterns from the Neutrals stack. Here's a view of our yummy lunch ... before we all dug in! Come back later this week to see some of the other swaps I got to make at this luncheon! Oh yes, did I forget to mention we had CHOCOLATE?! Yum! Well, I've been terribly busy these past 2 weeks with company, both friends and family! It's been wonderful, but hasn't left me any time to create and share with you, my friends! This morning, I was looking through a past issue of Stampin' Success, the magazine that I receive monthly as a Stampin' Up! Demonstrator. In this magazine, there are business articles to help me promote my business to you, my customers and friends, but there are also fun ideas of cards and other projects that I can show you to promote the products from Stampin' Up! This particular issue was showcasing the new In Colors that were introduced July 1st of this year, and I'm in love with all of them! 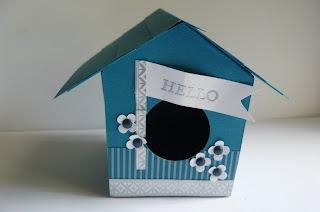 The project was a cute little birdhouse, which I made today to share with you. I made this one in Island Indigo which is a beautiful blue color that reminds me of the island waters away from the Carribean (not quite as light as the Pool Party island waters, but deep and blue and vibrant). On our demonstrator website, there is a place where we can get templates for cards, scrapbook pages, and other fun projects. This birdhouse was #23 from the template library. The cute little flowers are from the Itty Bitty Punch collection: I punched them out of Whisper White c/s, then inserted a small blue brad from the Regals collection. Ideally, I might have used the In Color brads to match exactly, but they were a bit large for these flowers. Anyway, that's my quick share for today! Thanks for stopping by! 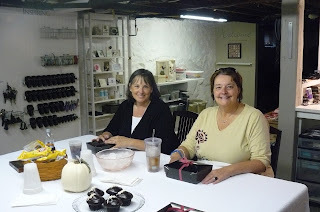 I and a team of other Stampin' Up! Demonstrators have been waiting FOREVER to share this event with you and we've finally put all the finishing touches on an event that is going to be AMAZING!! You are cordially invited to the SECOND Annual Stamp Out Breast Cancer Event. This is a very special event in that, ALL supplies are donated by demonstrators and friends. This means that EVERYTHING that we collect for the fundraiser goes straight to the Making Strides Against Breast Cancer Charity. We couldn't be more excited! 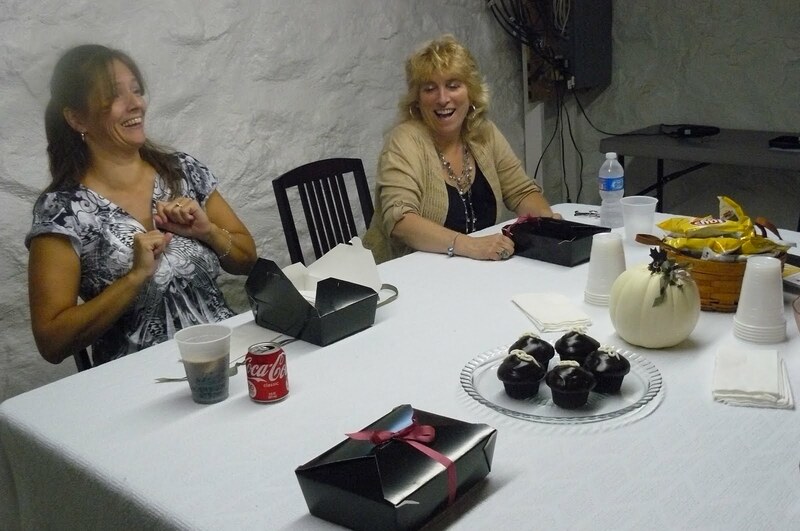 This year's event will be held in Dracut MA, at the GORGEOUS Harmony Hall. It is a historical building that was actually moved up Lakeview Avenue. Then, it had a major restoration. It sits beautifully preserved at 1660 Lakeview Avenue in Dracut. There are two ways to Participate. Register under "event registration" and come and join us to make these 5 projects for your $25 donation. Register ONLINE and save $5. If you cannot make it for any reason, you can make a donation to "directions only" and for your $20 donation, you will receive the instructions to recreate these gorgeous projects. To do either, click here. Here are more details about this very special event. All supplies for the projects you will be making, have been donated. Therefore, 100% of your donation is going to Making Strides. We will also be selling raffle tickets for items to be raffled off during the day. There will be lots of stamping loot and maybe even gift cards raffled off (we are still working to get more raffles). All raffle proceeds will also be donated to the Making Strides. Last year; our first year, we raised over $2,000!!! 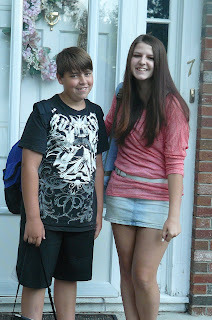 We were so excited! Enjoy munchies and be inspired Display Boards with lots of great project ideas. Donate an item for our Raffle and receive an extra entry for the grand prize! There are two Grand Prizes for the raffle this year. A Big Shot and a basket with supplies to recreate the projects shown including the two stamp sets as well as many other fun things. Interested in some great card ideas? 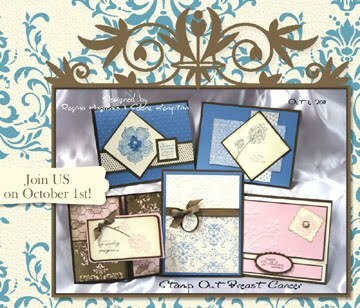 Participate in our Stampin Up Only Card Swap. Design one card using Stampin Up supplies and make 10-20 copies of that card and bring them along that day. You can swap your card design with others at the event for copies of their card design! You may also bring more than one design and swap multiple designs. You will go home with lots of great card ideas in hand!! Full cards only please. These cards should reflect your best work. Clean lines and straight layers. If you would like to label your card with your name, please do that on a post it note inside. We would all like to be able to use the cards after. Donate one of your swap cards to the swap basket and it will be donated to the cancer center at Lowell General Hospital. You could win a prize for your generosity. And last but not least - Don't forget to wear Pink!! The fashion police will be on patrol and handing out surprises!! We hope to see you on October 1st! Step It Up Saturday with Field Flowers! Good morning all! Today I'm initiating a new series that I hope to do on the first Saturday of every month. I got the idea from Gretchen Barron. If you have a minute, you should google her site and check out how she steps up her cards! She's very talented! Anywho, back to the subject at hand ... I made 3 cards, each one a little (or a lot!) different than the previous one. I used the Field Flowers stamp set for all of my cards. The first card is a very basic, nearly CAS (clean and simple, which is usually only 1 layer) card. I matted the vanilla card stock with my image on Concord Crush card stock (c/s) and attached it to my Wisteria Wonder base. 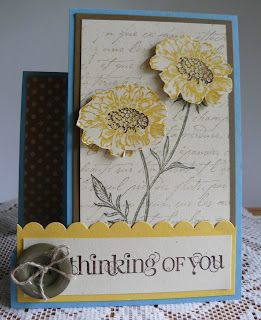 The sentiment from this set is stamped in the corner in Concord Crush Classic Ink. That's it! Nothing to it! My second card is a bit more involved: more layers, more punches, more popped up. Usually, that's all one needs to do to take a card to the next level. 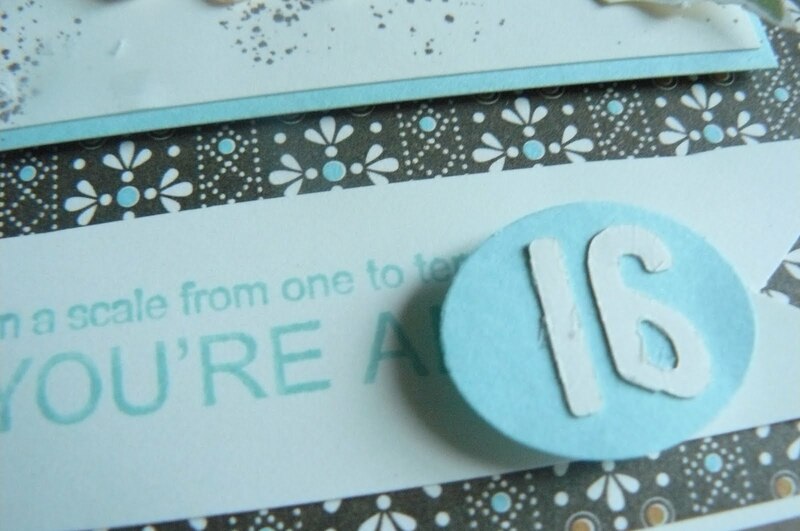 Add another layer of card stock, pop up your image or parts of your image, with dimensionals. 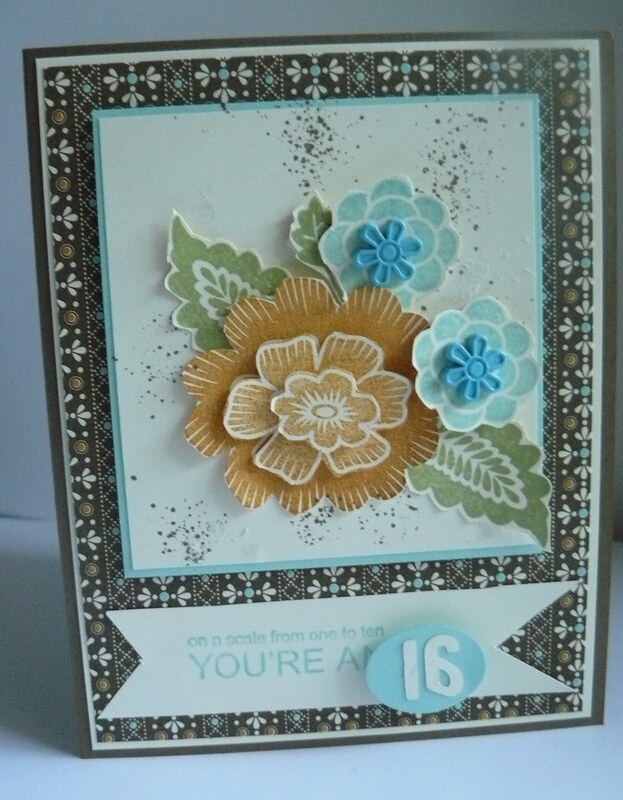 If you look closely at this card, you can see that I layered the "stamens" of the flower. I also used my Color Spritzer tool and my Soft Suede marker to give the card a bit more depth. The sentiment is another stamp from the Field Flowers set -- after stamping it in Concord Crush on Very Vanilla c/s, I used my Large Oval Punch to punch it out. I used my Scalloped Oval punch and some Concord Crush c/s scraps to mat my sentiment. Oh yes ... don't you love the butterfly? 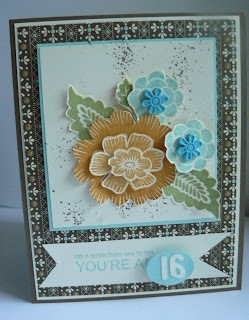 It's from the Beautiful Wings embosslit, and I use this one a lot with my flower stamps! Love it! I won't lie ... this card took me a while! So many details to talk about here! I didn't want to make the background stand out, so I made sure that I pressed very lightly when stamping (*I usually lay my large background stamp down on the table, bring the ink to the stamp rather than the stamp to the ink, and then bring the c/s to the stamp, if that makes sense!) I then used the a la carte Elizabeth stamp with Soft Suede classic ink in my corners. Pretty, huh?! I next stamped my image with more classic inks (this applies to all the cards): Always Artichoke for the flower stem, Concord Crush for the petals, Soft Suede for the stamens. 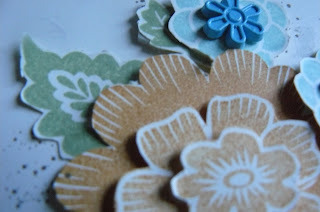 Once again, I stamped, cut out, and popped up my stamens! What about my c/s mat? Well, I embossed the Concord Crush c/s with the Lattice Embossing Folder and my Big Shot. Let's see ... what else? Oh yes, another c/s layer -- I punched a strip of Wisteria Wonder c/s with the Scalloped Trim border punch that I layered just under the Very Vanilla c/s and my image. After all that, the only thing left was to embellish the card further. I used my Big Shot and the Beautiful Wings Embosslit to punch/emboss a few more butterflies. The last thing I did was adhere a piece of Sticky Strip to the bottom of my page, cut a (longer) length of Crochet Trim, and haphazardly adhere it to the sticky strip. A quick bow, again with the crochet trim, accented with one of my Vintage Brads, was all that was left to add! Sorry! It's not a great photo, but you get the idea! Thanks for joining me as I "stepped it up" today! New Mini Catalog -- Live Yesterday! Good day to all my friends! 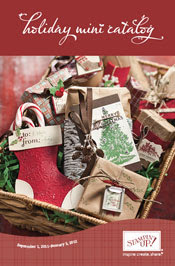 The 2011 Holiday Mini Catalog is now ﻿live!! It runs from September 1st to January 3rd. *Great new autumn paper and a matching stamp set, fabric and coordinating buttons! I love all of the new products! Click on the catalog image above to be connected to my store and all of the great products in the catalog. Better yet, if there's something in there that you like, PLEASE call me for a catalog and I'll mail it right out or drop it off to you! Now, for a quick card share -- this card is for my dear daughter, Lyndsey, who turned 16 today! Close-up view of Lyndsey's card -- there's a lot of dimension going on here! One last thing -- tomorrow I'm starting a new blog series called "Step-It-Up Saturdays". Check out my 3 cards, all using one stamp set, but each a little bit different: a basic, an intermediate, and an all-out "bam" card! Hope you come back to visit tomorrow!